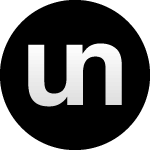 Unstyled is the digital media consultancy run by Si Jobling. With nearly 15 years of experience designing, developing and marketing online, Si has established himself as pioneer in the Web industry, securing a range of high profile clients and projects such as UEFA, Yahoo! and ASOS. Always one to meet new people and support the community, Si also founded The Multipack – a Web community from the West Midlands – back in 2005. As if that wasn’t enough, Si also produces the successful house music show House Finesse which is broadcast on several international radio stations every month, as well as distributed by podcast and other online music networks. Follow @Si on Twitter to see what he is up to as well as the diverse topics he covers in digital culture.